The Web Marketing Association announces a new advertising medium has been added to the 17th annual Internet Advertising Competition (IAC) Awards for Voice Skills or Actions. This marks the first time an international award program will judge the exploding use of voice assistants like Alexa skills or Google Actions in branding and advertising. The Competition Web site is located at www.iacaward.org and the deadline for entry is January 31, 2019. Alexa skills are third-party apps you can add to your Alexa account based on your needs and preferences. Google Assistant’s version of these apps are called Google Actions. The IAC Awards are the first and only industry-based advertising award competition dedicated exclusively to online advertising. This international award program will evaluate all forms of online advertising, including email, page-based ads, online newsletters, mobile apps, Websites, video and social media in 96 industry categories. Entries may be submitted online at http://www.iacaward.org. The deadline for entry is January 31, 2019 and will be judged on creativity, innovation, impact, design, copywriting, and use of the medium. The 2019 Internet Advertising Competition Awards are sponsored by PR.Com, EContent Magazine, iContact, IRCE, and WebMaster Radio. The Web Marketing Association judges will select the best social media campaigns in 86 industries as part of their 17th annual Internet Advertising Competition (IAC) Awards. The IAC Awards are the first and only industry-based advertising award competition dedicated exclusively to online advertising. Anyone wishing to nominate their social media work for consideration may do so at http://www.IACAward.org before the deadline of January 31, 2019.
Who Has The Best Websites for Advertising? The Web Marketing Association judges will select the best websites used as advertising in 86 industries as part of their 17th annual Internet Advertising Competition (IAC) Awards. The IAC Awards are the first and only industry-based advertising award competition dedicated exclusively to online advertising. 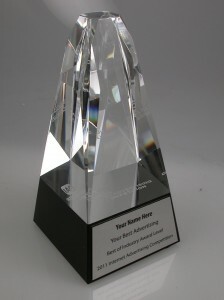 Companies or agencies wishing to nominate their website advertising work for consideration may do so at www.IACAward.org before the deadline of January 31, 2019. “Websites are an effective advertising tool to build brand awareness and engage consumers on a global scale,” said William Rice, president of the Web Marketing Association. “The IAC Awards provides an opportunity to show the world your expertise and ability to develop a website as an advertising vehicle. It’s also a great marketing opportunity for the winners to promote their work to senior management, customers and prospects”. 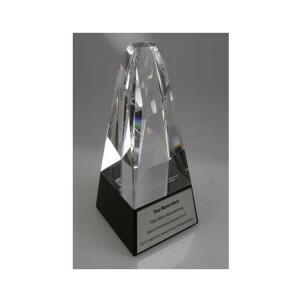 The IAC Awards were developed to evaluate and recognize innovation and excellence in online advertising which includes a category for Websites. The Web Marketing Association’s WebAward Competition for Website Development will focus on the entire Web site, with particular emphasis on the creativity and functionality of the overall interactive experience. Websites entered into the Website category of the IAC Awards will be judged based on their advertising merit. A site can be entered in both the IAC Awards and the WebAward Competition. The 2017 Best of Show for Websites was given to Wyoming Office of Tourism and Miles Partnership for Travel Wyoming Website. 2017 TMV Group for FaygoUnbottled.com. Interactive agencies that win multiple awards will also be in the running for Top Agency Award. 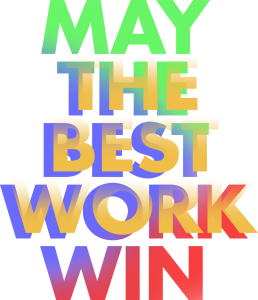 In an effort to recognize those organizations that demonstrate exceptional development skills across multiple entries, agencies that win more the 6 awards will also be recognized with an Outstanding Advertising Developer award from the Web Marketing Association. In 2018, four agencies won this honor. The 2019 Internet Advertising Competition Awards are sponsored by PR.com, iContent, EContent Magazine, Webmaster Radio and Website Magazine. November 15, 2018 | In IAC Awards, Web Marketing Association | Comments Off on Who Has The Best Websites for Advertising? The Web Marketing Association judges will select the best online interactive apps in 86 industries as part of their 17th annual Internet Advertising Competition (IAC) Awards. The IAC Awards are the first and only industry-based advertising award competition dedicated exclusively to online advertising. Anyone wishing to nominate their applications work for consideration may do so at http://www.iacaward.org before the deadline of January 31, 2019. “Online apps are an effective advertising tool to build brand awareness and engage consumers where ever they may be,” said William Rice, president of the Web Marketing Association. “The IAC Awards provides an opportunity to show the world your expertise in this emerging field. It’s also a great marketing opportunity for the winners to promote their work to senior management, customers and prospects”. 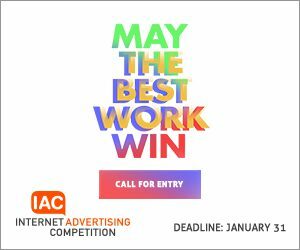 The 2019 international Internet Advertising Competition Awards are open to all organizations and individuals (advertising and interactive agencies, corporate marketing departments, etc.) throughout the world involved in the process of developing Internet advertising. Entries may be submitted online at http://www.iacaward.org. The deadline for entry is January 31, 2019 and will be judged on creativity, innovation, impact, design, copywriting, and use of the medium. The 2018 Best of Show for Interactive Applications went to Wastell Homes & tbk Creative for There’s Beauty in The Build. Interactive agencies that win multiple awards will also be in the running for Top Agency Award. Each entrant will be awarded points based on the level of award for each award received. The agency with the most points will be awarded the Top Agency Award. Agencies that win more the 6 awards will also be recognized with an Outstanding Advertising Developer award from the Web Marketing Association. In 2018, four agencies won this honor. The Web Marketing Association’s 17th annual Internet Advertising Competition (IAC) Award program is currently accepting entries and is looking for qualified judges to help adjudicate this year’s award program. The IAC Awards are the first and only industry-based advertising award competition dedicated exclusively to online advertising. The Internet Advertising Competition Awards are open to everyone involved in the process of developing Internet advertising. Entries may be submitted online at http://www.iacaward.org. The deadline for entry is January 31, 2019 and will be judged on creativity, innovation, impact, design, copywriting, and use of the medium. The 2019 Internet Advertising Competition Awards are sponsored by PR.com, EContent Magazine, iContact, WebMaster Radio and Website Magazine. Who Has The Best Online Video Advertising Campaigns? The Web Marketing Association judges will select the best online video advertising in 86 industries as part of their 17th annual Internet Advertising Competition (IAC) Awards. The IAC Awards are the first and only industry-based advertising award competition dedicated exclusively to online advertising. Companies or agencies wishing to nominate their video work may do so at www.IACAward.org before the deadline of January 31, 2019. “Online video has exploded in popularity over the past few years as a form of advertising and it looks like this trend is likely to continue,” said William Rice, president of the Web Marketing Association. “Videos can be standalone viral projects, serials, or page-based creative. Each online video ad will be judged on creativity, innovation, impact, design, copywriting, and use of the medium. The IAC Awards provides an opportunity to find out who is doing an outstanding job creating online video. Winning awards is also a great marketing opportunity for the winners to promote their work to senior management, customers and prospects”. 2011 Help Me Choose Organic, Inc. The 2019 Internet Advertising Competition Awards are open to all organizations and individuals (advertising and interactive agencies, corporate marketing departments, etc.) involved in the process of developing Internet advertising. Entries may be submitted online at http://www.iacaward.org. The deadline for entry is January 31, 2019. Each entrant will be awarded points based on the level of award for each award received. The agency with the most points will be awarded the Top Agency Award. In an effort to recognize those organizations that demonstrate exceptional development skills across multiple entries, agencies will be recognized with an Outstanding Advertising Developer award if they win six or more 6 awards. In 2018, four agencies received this honor. November 8, 2018 | In IAC Awards, Web Marketing Association | Comments Off on Who Has The Best Online Video Advertising Campaigns? Who Has The Best Email Advertising Campaigns Of 2019? The Web Marketing Association judges will select the best email advertising messages and campaigns in 86 industries as part of their 17th annual Internet Advertising Competition (IAC) Awards. The IAC Awards are the first and only industry-based advertising award competition dedicated exclusively to online advertising. Companies or agencies wishing to nominate their email marketing work for consideration may do so at www.IACward.org before the deadline of January 31, 2019. The 2019 Internet Advertising Competition Awards is industry based and will accept entries from 86 industries, including construction, computer hardware, consumer goods, credit unions, medical, financial services, real estate and small business just to name a few. Entries judged to be outstanding will receive an IAC Award. The entry receiving the highest score in each industry will be recognized as the best email advertisement for that industry. November 7, 2018 | In IAC Awards, Web Marketing Association | Comments Off on Who Has The Best Email Advertising Campaigns Of 2019? The Web Marketing Association judges will select the best online newsletters for 2019 in 86 industries as part of their 17th annual Internet Advertising Competition (IAC) Awards. The IAC Awards are the first and only industry-based advertising award competition dedicated exclusively to online advertising. Companies or agencies wishing to nominate their email newsletters for consideration may do so at www.IACAward.org before the deadline of January 31, 2019. “Online newsletters are a critical marketing tool for many companies trying to maintain an ongoing relationship with customers and prospects,” said William Rice, president of the Web Marketing Association. “Each online newsletter will be judged on copywriting, creativity, innovation, design, impact, and use of the medium. The IAC Awards provides an opportunity to find out who is doing an outstanding job creating online newsletters. It’s also a great marketing opportunity for the winners to promote their work to their customers, prospects and senior management,”. 2011 Manulife Solutions BlueRush Digital Media Corp. The 2019 Internet Advertising Competition Awards are open to all organizations and individuals (advertising and interactive agencies, corporate marketing departments, etc.) involved in the process of developing Internet advertising. Entries may be submitted online at IACAward.org. The deadline for entry is January 31, 2019 and will be judged on design, creativity, impact, innovation, copywriting, and use of the medium. Interactive agencies that win multiple awards will also be in the running for Top Agency Award. Each award won will count for points. The agency with the most points will be awarded the Top Agency Award. Agencies that win more the 6 awards will also be recognized with an Outstanding Advertising Developer award from the Web Marketing Association. In 2018, four agencies won this honor. Judging for the IAC Awards will take place in February 2019. Judges will consist of a select group of Internet advertising professionals with an in-depth understanding of the current state-of-the-art in Web advertising. Past competition judges have included top executives from leading corporations, institutions and media organizations such as Arc Worldwide, Beeby Clark+Meyler, Brunner Digital, Campbell-Ewald, CNN, Deep Interactive Asia, Digitas, EuroRSCG 4D, Google, IBM Interactive, JWT, Mastercard, McCann Worldgroup, Possible, SapientRazorfish, Starwood Hotels & Resorts, Small Army, Tectis GmbH, TMP Worldwide, Universal McCann Interactive and Wunderman / Y&R.